I have always loved the industrial lighting, especially when paired with a rustic decor. Ever since I worked for my sister (an electrician) and saw the many styles of light fixtures and ceiling fans on the market, I was in awe of the variety and how they could really impact a rooms look. So many people ignore the importance of light fixtures in a room. But they can get expensive. You don't have to rummage through old estate sales to find a really cool fixture. These ones have the look but are SAFELY wired, and you can even get the cool Edison bulbs for the look without the fire hazard. Below are industrial pendant lights that I personally thought would make a huge impact for under 100 dollars online. This one would be perfect for over a kitchen island. It has an bronze oiled finish and when paired with the edison style bulbs (which are modern but have the right look for this fixture) it can totally change the look of your kitchen, or even over a dining table. Just click the picture or above link to find out more and it is less than 100 dollars at the moment! This sphere is metal, and with the right bulb inside can really make a statement and is under 100 dollars. This one can be mounted in your entrance foyer, or over the kitchen island, or anywhere you want to add some rustic ambiance. I love the metal. This is such a simple fixture and yet can make a huge impact. What I really like about the vintage or industrial look is the pulleys. They just seem to add something to these. Light fixtures can make a huge impact in a room, so even if you only change out one here and there it will make a difference. This fixture mixes the clean look of glass with the old style bulb, plus for a more authentic look the wire is fabric covered. You could a couple of these for over the island in the kitchen or even to light up a stairwell. This pendant is very rustic with the metal cage around the bulb, very industrial era look. If you paired it with another one or even two more it would look awesome over a bathroom vanity, kitchen island, or even a corner of a room if you installed them at different heights. Adjustable length and also the cage look can be open as pictured above or closed. Paired with the edison style bulbs (sold below) this will look very authentic and is affordable under 100 dollars. Start with one piece at a time. These bulbs are safe and fit standard sized sockets, so you can even turn some of your present fixtures into something more rustic with the right bulbs. These are also part of the look and give off a nice glow of light. 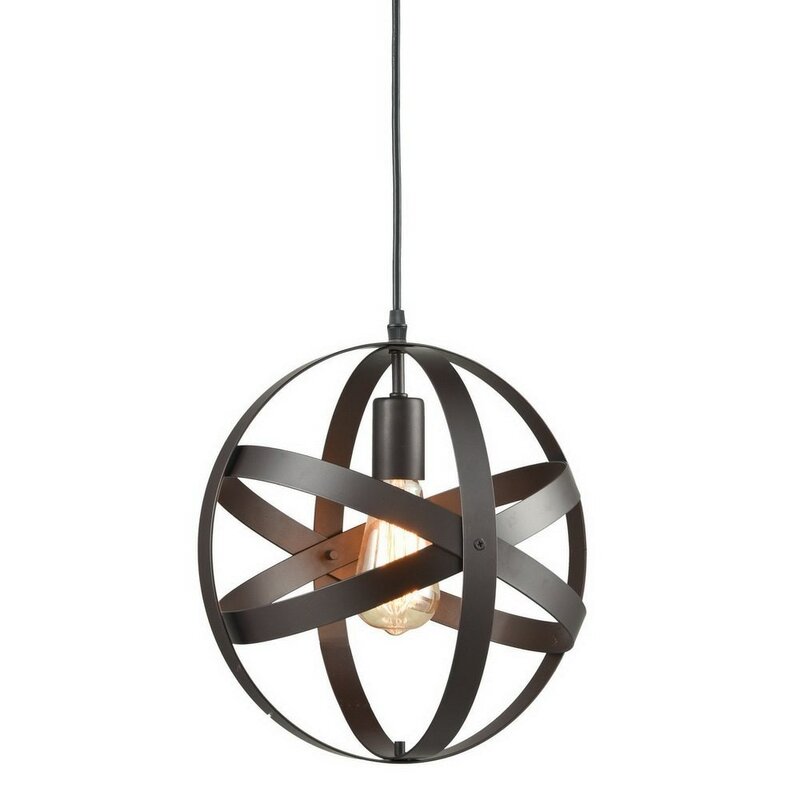 If you like the dark metal look and don't want to really see the bulb, this barn style pendant works too. All the above industrial pendant lights are at present under 100 dollars. It can get very expensive to decorate or redecorate. As someone who loves this look I was finding myself drawn to old fixtures in estate sales and garage sales, but after talking to my sister the electrician, I realized these were no longer safe to today's standards. I visited many traditional lighting stores, and was quite disappointed with what was available for the rustic look I was going for. When I did find something it was hundreds of dollars which was hard for me to justify. But I realized that online at stores such as Amazon, there is a huge variety and the prices are quite competitive. The fixtures are safe and wired to North American standards, plus the authentic bulbs just add to the ambience. None of these fixtures, in my opinion would work with a standard white bulb or equivalent, I really think you need to get the right lighting in the fixtures for the right look. Whether you have a condo with exposed brick wall or you just love the rustic and vintage look, don't go digging looking for original fixtures unless you plan on having them rewired, which is an option. Check out the line of these gorgeous fixtures online or at least compare prices to stay within your budget.